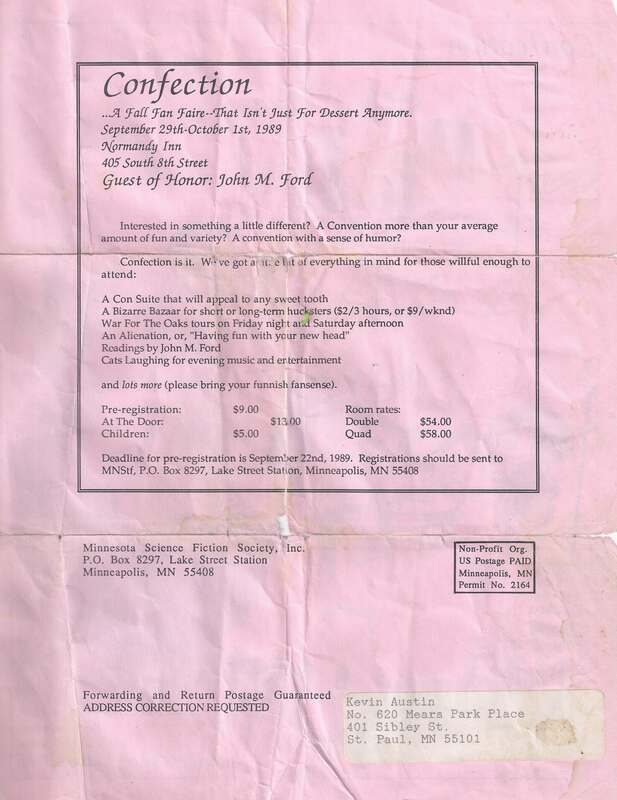 Confection was a Minn-stf fallcon held 29 September – 1 October 1989 at the Normandy Inn, Minneapolis. 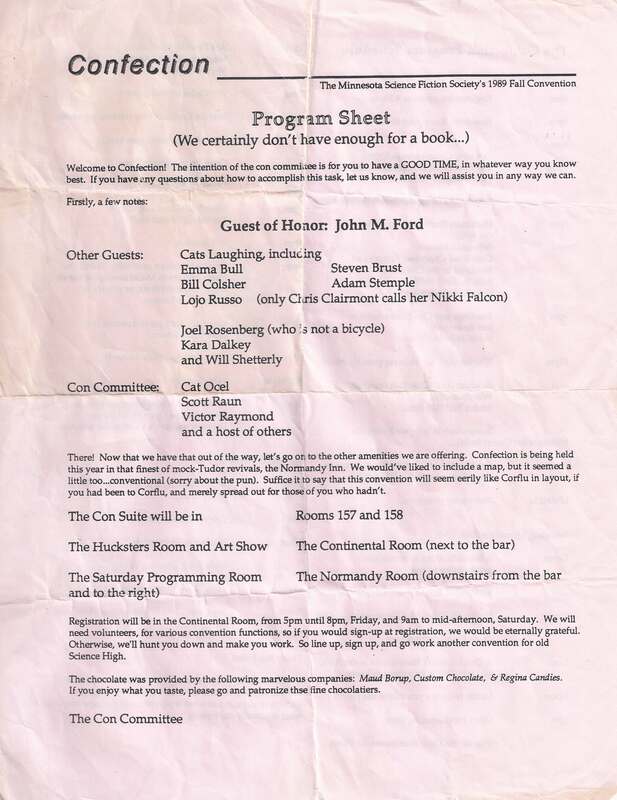 John M. Ford was GoH. 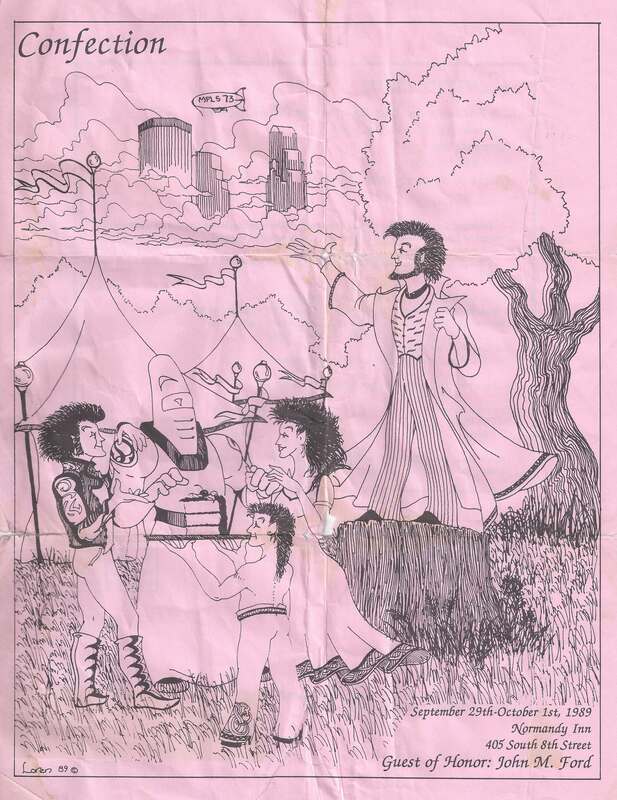 The 5 Oct 1989 board minutes tell us that it had 160 members (11 comps, 10 children), 102 pre-registrations, 45 at the door. 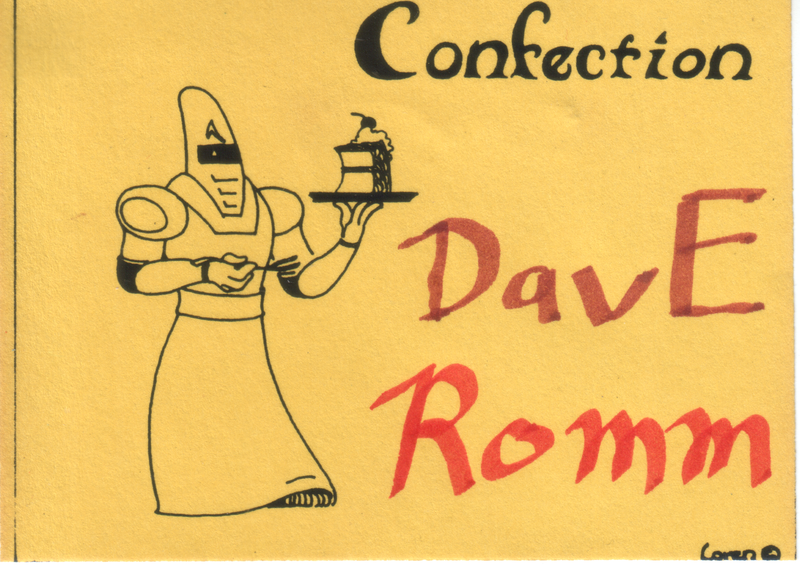 And here's the text of the Confection flyer. 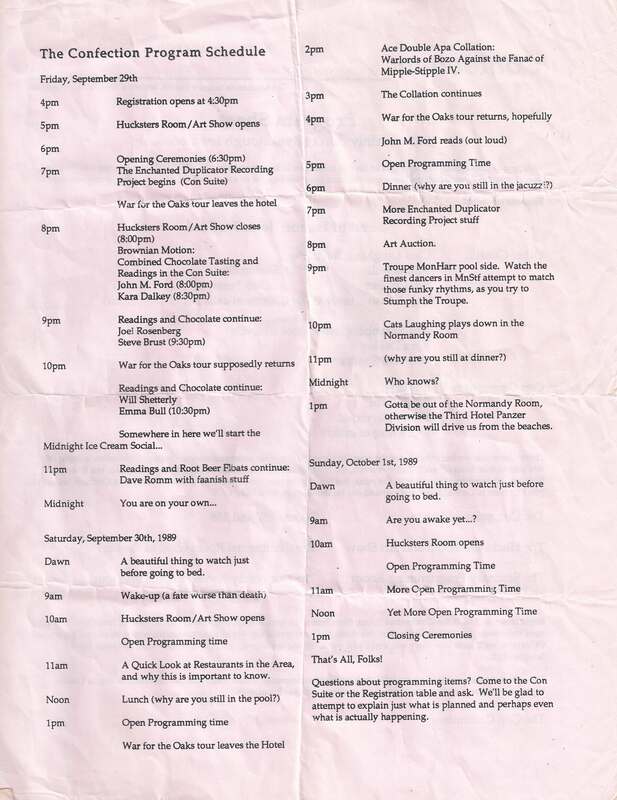 And here's the text of the program sheet page 1, and page 2.